Go I-24 west(Towards Clarksville) to the Old Hickory Blvd. exit. 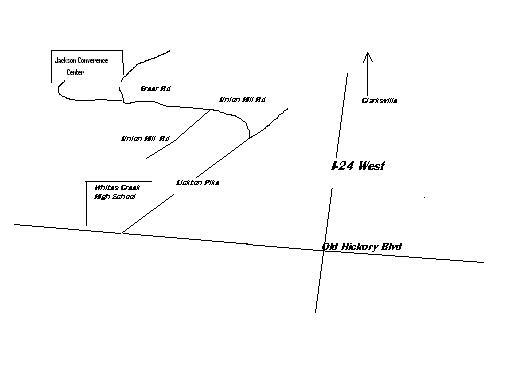 Go left to Lickton Pike(next to Whites Creek High School). Union Hill Road bears off to the left past the Amoco Grocery store. Go approx. 1.1 miles to the Jackson Conference Center on the left.